It is not too late to undercoat your vehicle! 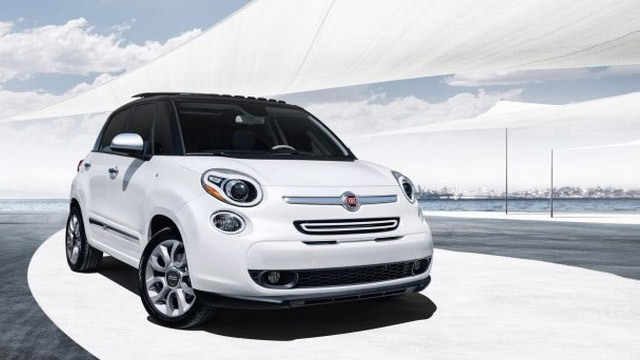 Are you searching for thorough and accurate Fiat service in New London and Wilmot? Look no further than the auto mechanics at Walker Automotive. With over 25 years of experience in the service and repair of virtually all makes and models of vehicles, our auto repair shop is trusted to handle anything from snow tire installation to transmission repair. Fiat cars are fun and sporty vehicles, and our team at Walker Automotive doesn’t want your fun to come to an end any time soon. That’s why we offer quick and thorough Fiat service. Even though we make it our mission to get you back on the New London and Wilmot streets as soon as possible, we aim to develop a relationship with you and your family. We make sure to be always upfront and honest about your Fiat service. We want you to be able to trust our auto mechanics and the rest of our team. “Stopped in to have my wheels checked and aligned after our mud season and had a wonderful experience with efficiency and education. I was actually shown a computerized chart of where my wheels should be and where an adjustment was needed. And, all that at a reasonable price. Thanks, Nate!” -- Ingrid B. From preventative maintenance to a complex brake repair on your Fiat, Walker Automotive is trusted to handle any and all auto repair. It’s all about transparency here, as we are upfront and honest each step of the way. For a facility convenient to both New London and Wilmot that goes the extra mile to repair and maintain your vehicle, you are in the right place. Schedule an appointment for Fiat service. Walker Automotive is located at 3 Deerwood Dr., Wilmot, NH 03287. We’ve got over 25 years of automotive experience. We service Wilmot and New London area.